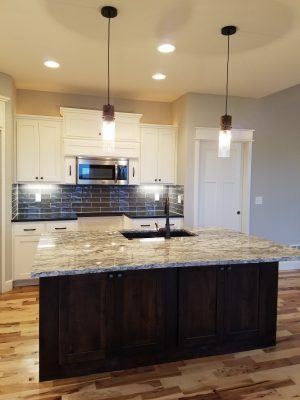 Stewart Builders LLC is keeping it “Rustic Modern” with our latest spec home! As trends change, it can be challenging… but, who says you can’t have it all? It seems like yesterday that tans and browns were by far the most popular. However, it has now turned heavily towards the gray and silver mode (which I personally love). 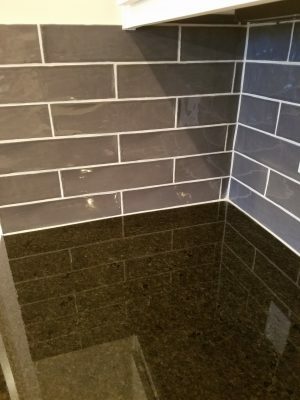 So, how do you appeal to those that still crave the warmness of “rustic” and those that want a more modern “clean” look? You do BOTH! 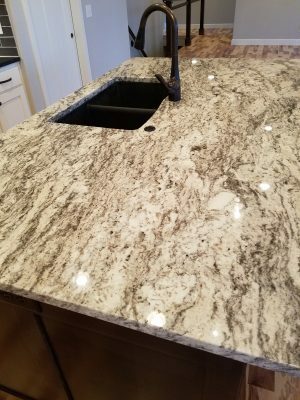 We went with a gray tile back splash, black pearl granite (on the perimeter), stained the island and chose a granite with a lot of movement/color variation. Light gray walls throughout the home complete the fresh, clean look that appeals to those searching for modern aspects. 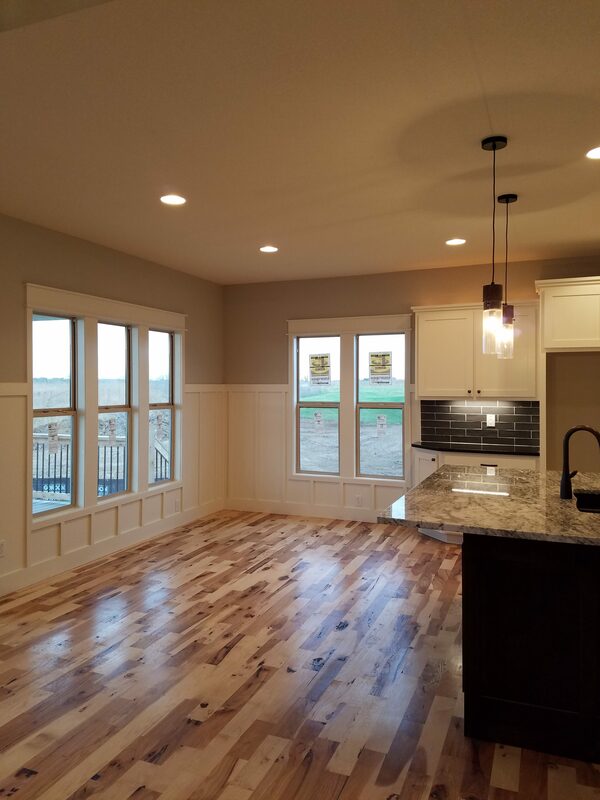 Now, on to the “rustic” portion of this beauty by Stewart Builders LLC…Rustic Hickory hardwood floors. They are gorgeous! The main question now becomes: Do you stain them, or leave them natural (I welcome feedback with open arms!)? 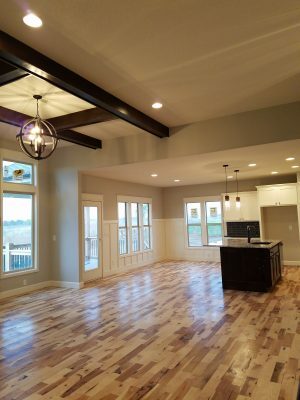 Additional rustic features include the ceiling beams, and my favorite…lighting! Don’t get caught up in the “living rooms always have a ceiling fan” way of thinking. If you are someone that truly uses your living room fan, go for it! However, if you are like so many others, it’s never utilized. Take that opportunity to do a fun (and in this case, rustic) fixture! 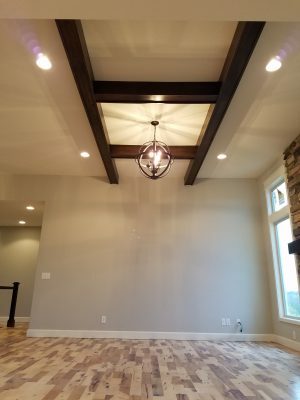 The stained beams make for a perfect frame for this metal light fixture.